We drove down to LA over MLK Jr. weekend to escape the deluge here in the Bay Area. 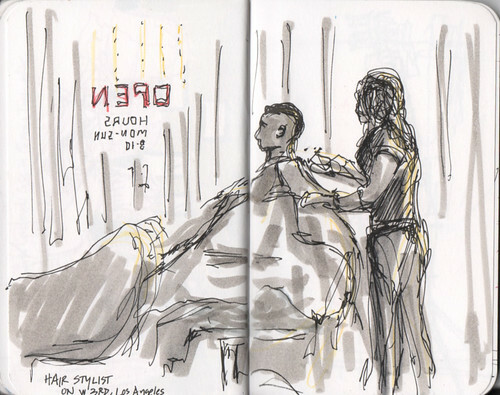 To pass time before a dinner reservation, I decided to get my hair cut and ended up sketching Oyuna, the owner/master stylist at New Look Salon as she worked on another customer. I like what she did with my hair. 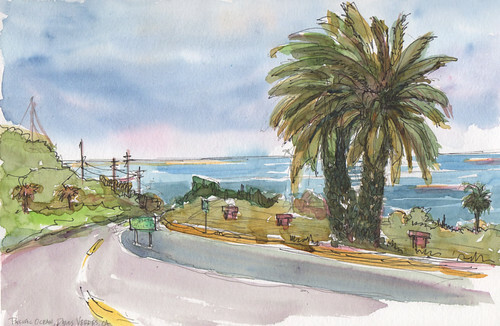 The next day, we had breakfast overlooking the ocean in Rancho Palos Verdes. I was hoping to see tidepools at Abalone Cove Shoreline Park, but we didn't find any. On the way home on Monday, we stopped in Santa Monica. 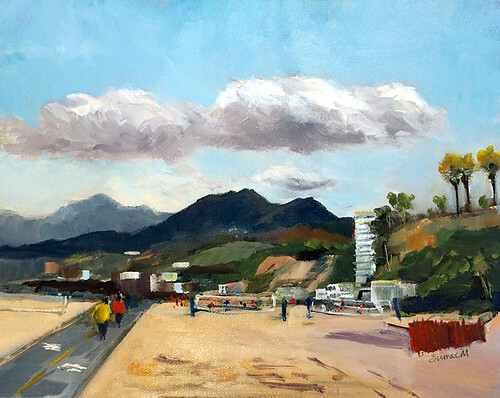 I set up my Strada easel and painted the thick clouds above the ubiquitous beach volleyball nets. Still searching for tidepools (no luck), we paused at Carpinteria State Beach near Santa Barbara. 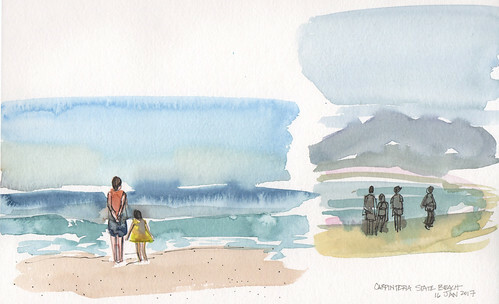 I sketched the people walking along the sand.